A sweet little taste of our lives. 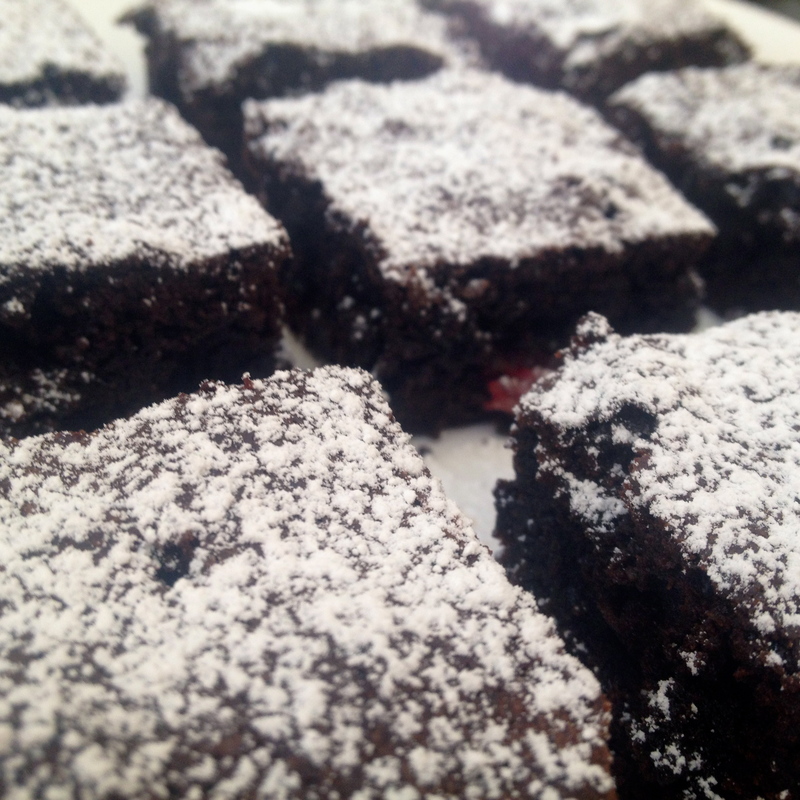 Big ooey, gooey, sticky, licky, marshmellowy, cherry, choc, fudge Brownies (Deep breath)! 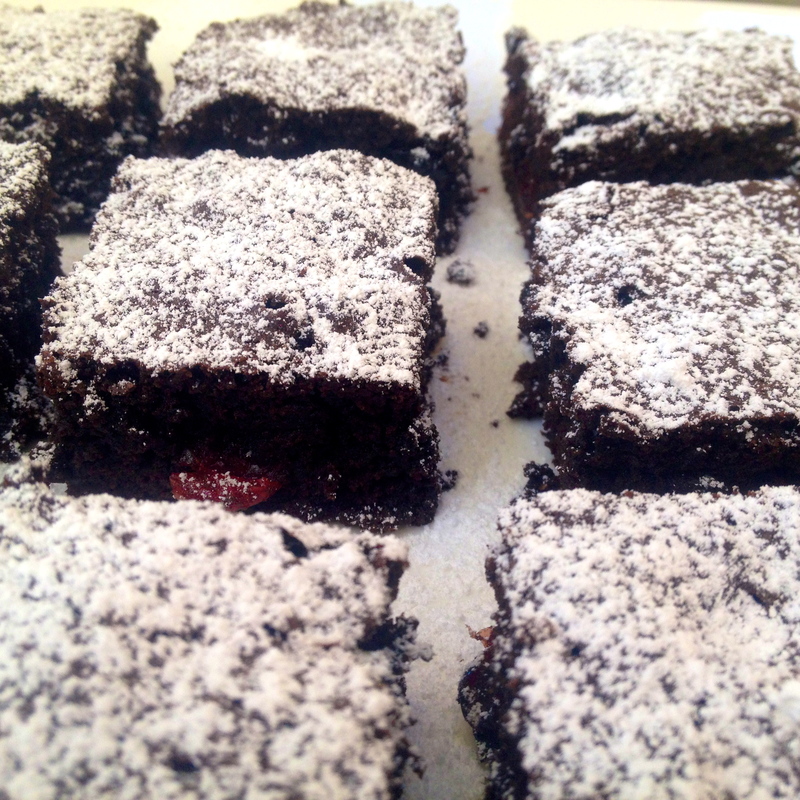 Any bet you’re salivating at this point…well you certainly should be, because I guarantee these babies are some of the best brownies you will ever eat! All week I was tossing up between choc chip cookies and these but every single person I asked voted team brownie and so it was inevitable that I bake em! And trust me I don’t regret it one tiny bit. If you’re a chocolate fanatic like me, and you’re trying to be healthy I suggest you do not make these as they will be gone in the time spam of a minute! 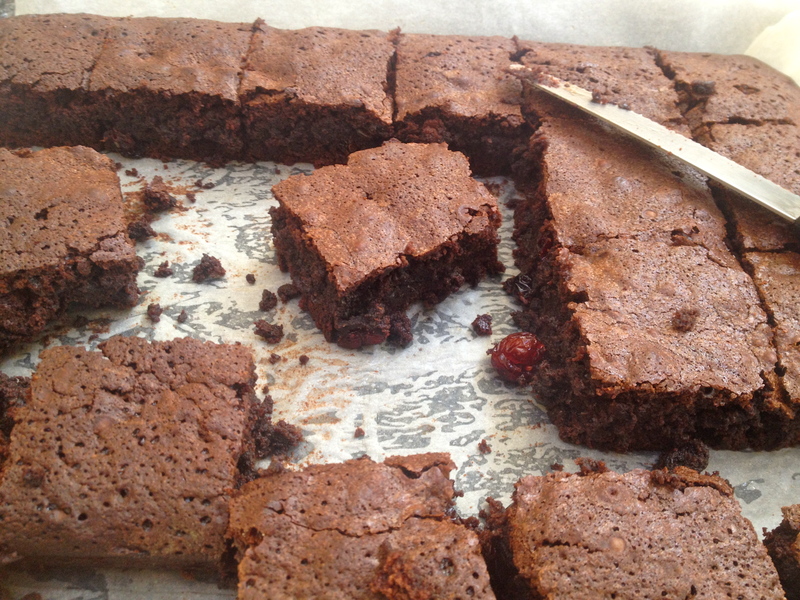 But for those out there looking for the perfect treat join me in making (and devouring) these devils! Start by preheating your oven to 180 degrees celcius and then line your baking tray..you know the drill ;). Then it’s straight onto the chocolate, butter and marshmallows. Just wack em in a pot over the stove and keep stirring until the marshmallows have melted. 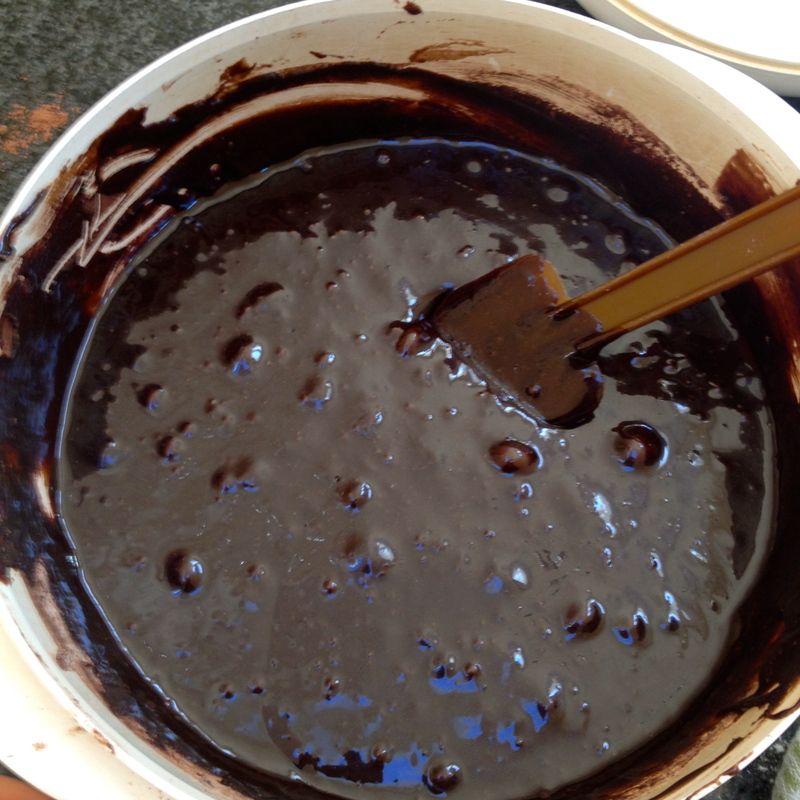 Once the marshmallows are incorporated into the chocolate and the butter, take the pot off the heat and transpose your mixture into a separate bowl to chill. 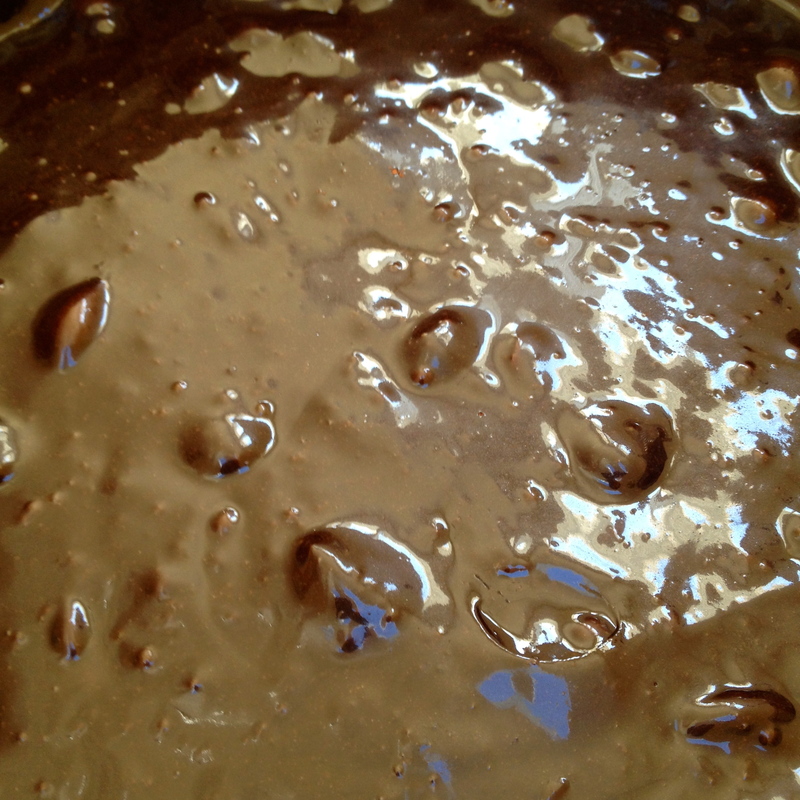 Whilst the chocolate mixture chills, start beating the sugar and eggs until the mixture is pale and creamy. 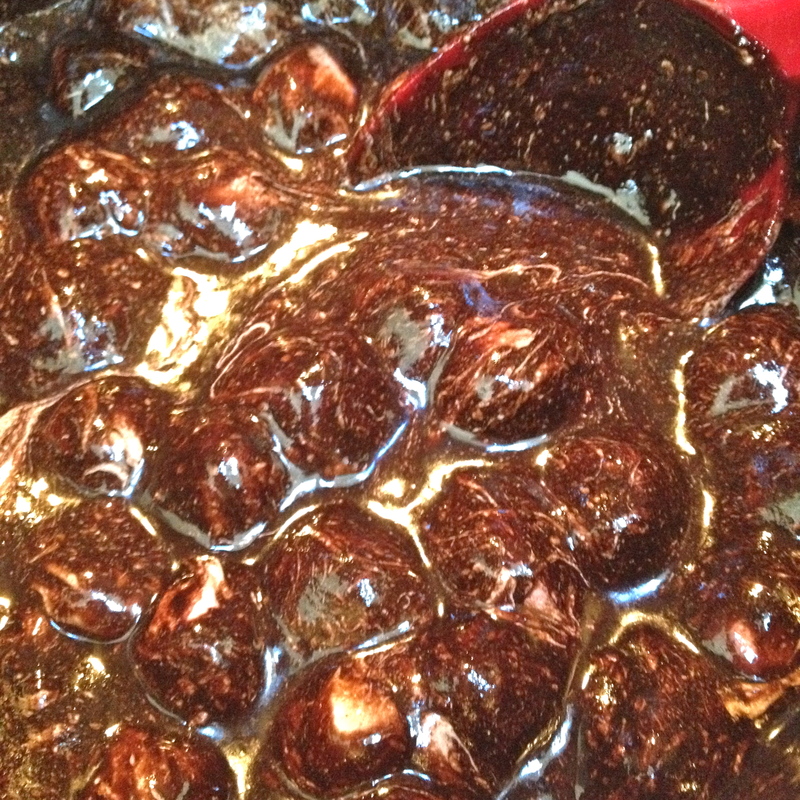 Once the chocolate has cooled, stir in the sugar and egg mixture. Then sift in flours and cocoa. 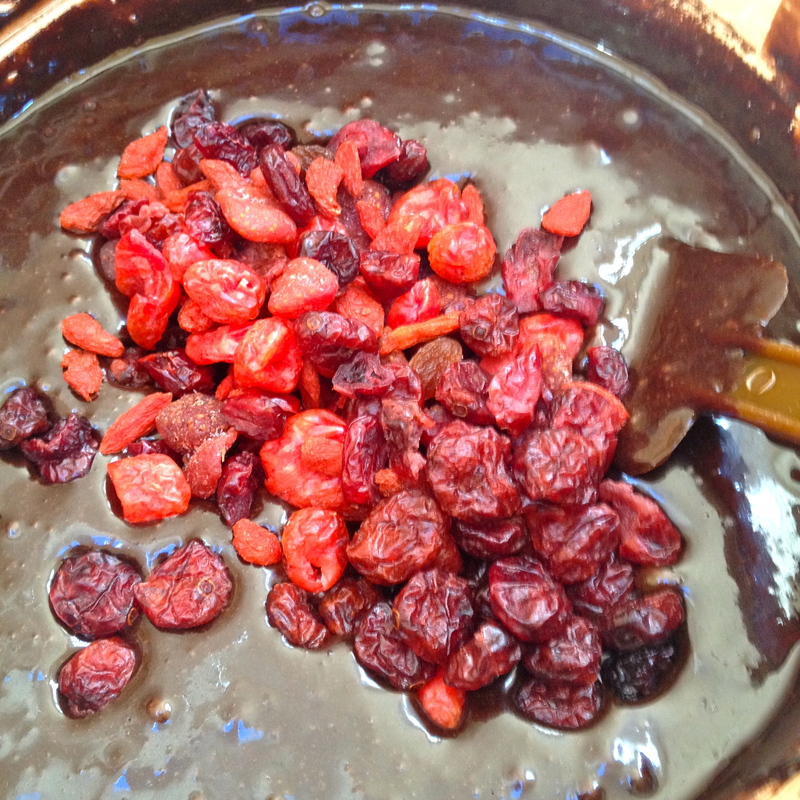 Finally, Add in the beautiful dried cherries, for that final punch of flavour. 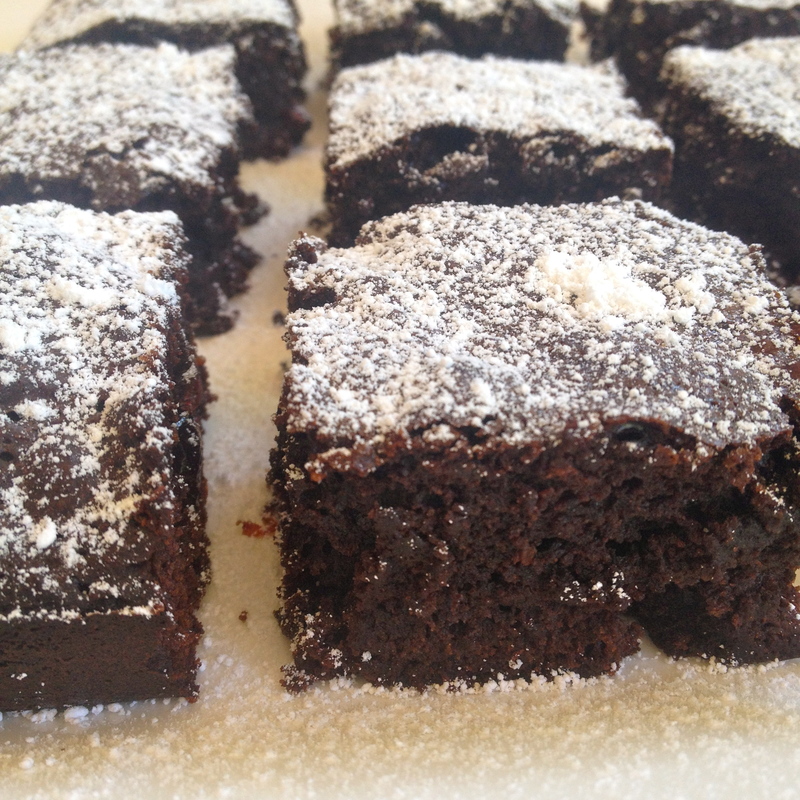 This will surely take the brownie to the next level! 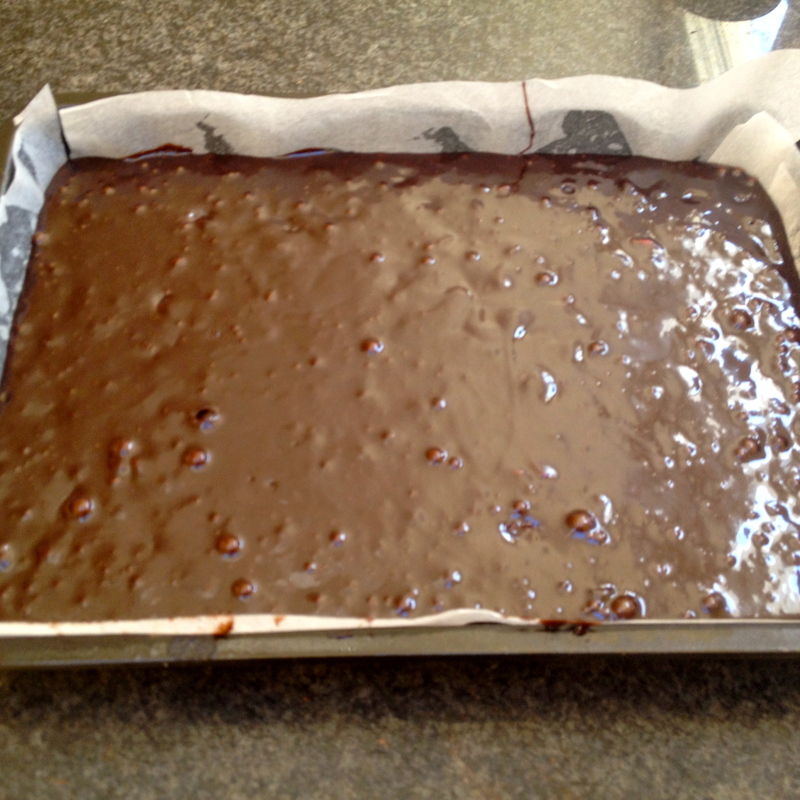 Finally transfer the mixture to your previously lined baking tray and bang it down on the table to even out the spread. 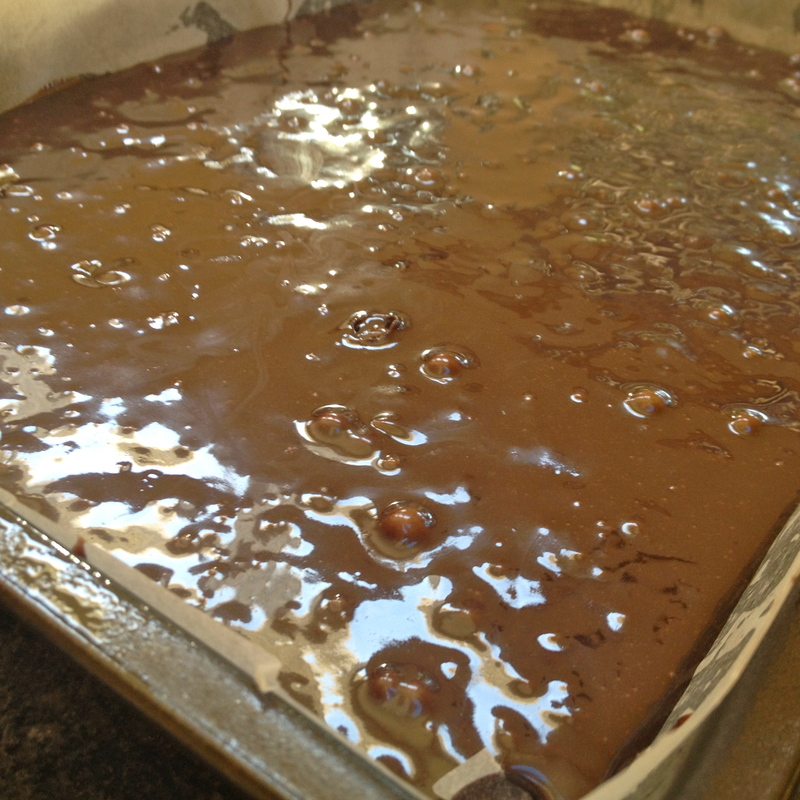 Then pop it in the oven for 50-55 minutes and the results will exceed all gooey expectations! 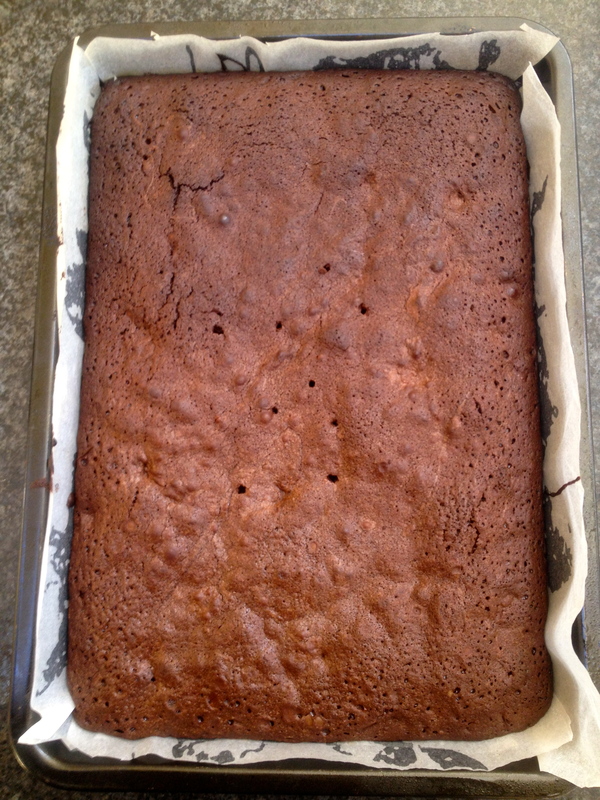 Once you’re brownies are baked don’t forget to cut them in nice, generous serves and finish them off with a little dust of icing sugar . 200g 70% cocoa chocolate chopped. 1.5 cups of caster sugar. 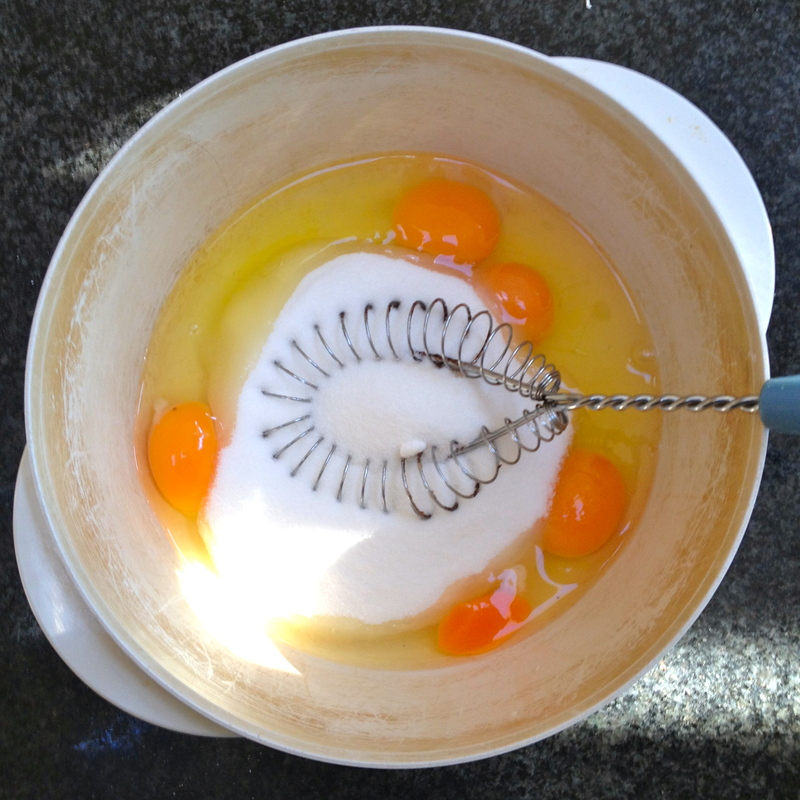 3/4 cup of plain flour. 1/3 cup of baking cocoa.